Apple’s latest ad for iPhone X highlights Face ID and how easily it can unlock your phone. The one minute ad shows a girl walking through a school and ‘unlocking’ everything in her path with just a glance, similar to how Face ID works on your iPhone X. 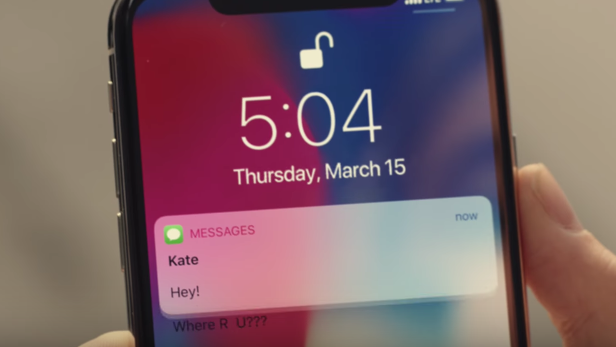 But this ad isn’t quite ‘perfect’, as 9to5Mac’s Benjamin Mayo tweets there is a bug shown in the ad, where the iMessage notification animation cuts off text, as seen in the screenshot below. You need to watch that section of the ad carefully to spot it, but Mayo says he submitted this iOS 11 bug to Apple about it “months ago” but it still was approved for the ad. iOS 11 bugs aside, Face ID works really well on iPhone X, as a 1.0 feature launch.